Richard Battista Quincy is a Massachusetts based veteran, culinary expert, life coach and healthy living proponent. 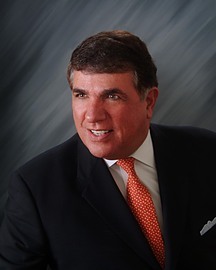 Richard Battista Quincy is a professional life coach and healthy living expert. Before beginning his formal education, Richard served as a combat infantryman in the Vietnam War. He distinguished himself by earning the Bronze Star. There are only three higher honors given by the United States Military than the Bronze Star. After returning from Vietnam, Richard began studying at Burdett College in Boston, MA. While at Burdett, Richard obtained his degree in Management. A major aspect of Richard Battista Quincy’s long and diverse career involved the world of cooking. During the early part of the 2000s, Richard served as the Art Institute of Los Angeles’ director. During his tenure, the Los Angeles chapter was chosen by Food Network as a shooting location for one of their shows. Richard also hosted a popular San Francisco radio talk show called The World of Food. Airing on San Francisco’s KNEW, The World of Food helped Richard share his experiences with food, and allowed him to extol the virtues of expanding the palate. He encouraged timid eaters to continue to try new dishes and flavors in order to have a richer experience with food. The show also boasted a star studded list of guests, including athletes, politicians, and other culinary experts. Richard had the pleasure of interviewing Oakland Raiders Pro Bowl and Super Bowl winning Safety, Jack Tatum. His guests also included Italian racing legend Mario Andretti, famed vintner Mark Beringer, Margaret Duckhorn of Duckhorn Vineyards, White House Chef Henri Haller, former CIA Director and Secretary of Defense Leon Panetta. One of the highlights of Richard Battista Quincy’s culinary career was being elected President and Chairman of the Board of the LA division of the American Culinary Federation. Richard Battista Quincy was also the founder of a cooking school known as the Professional Culinary Institute. In 2007, the school was honored with the Excellence in Education Award. In addition, one of their students was named the Best Young Cook in the World. Richard Battista has also had a distinguished career as a life coach and healthy living expert. He is at the forefront of the emerging trend of combining life coaching and nutrition. He helps his clients with their general health and wellness, but more than that, strives to help them overcome psychological obstacles they weren’t able to conquer on their own. He incorporates his own personal experience to help people not only modify their behavior temporarily, but rather to change their lifestyles for the better permanently. Specifically, Richard works with his clients to help them cut down on drinking, encouraging healthier eating habits, and promoting regular exercise as ingredients in a greater recipe to a better life. As a veteran himself, Richard also specializes in life coaching for military veterans returning from combat tours. You can learn more about this aspect of Richard’s services by watching the brief video below. Richard Battista Quincy discusses how he provides life coaching and healthy living advice to military veterans.